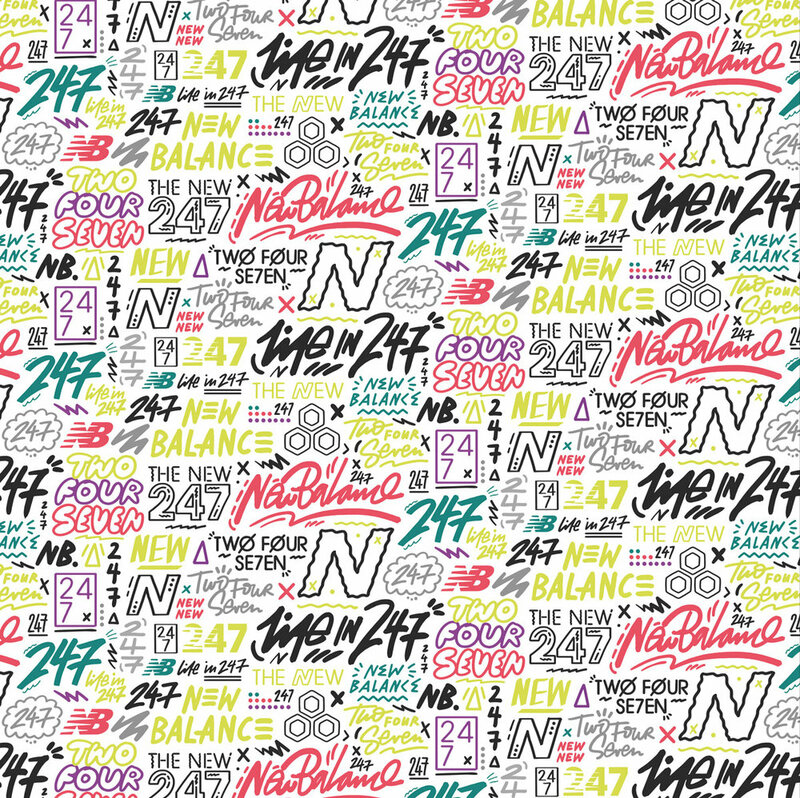 Kate Moross created a tiling typographic pattern for New Balance Japan to celebrate the launch of their new pack. 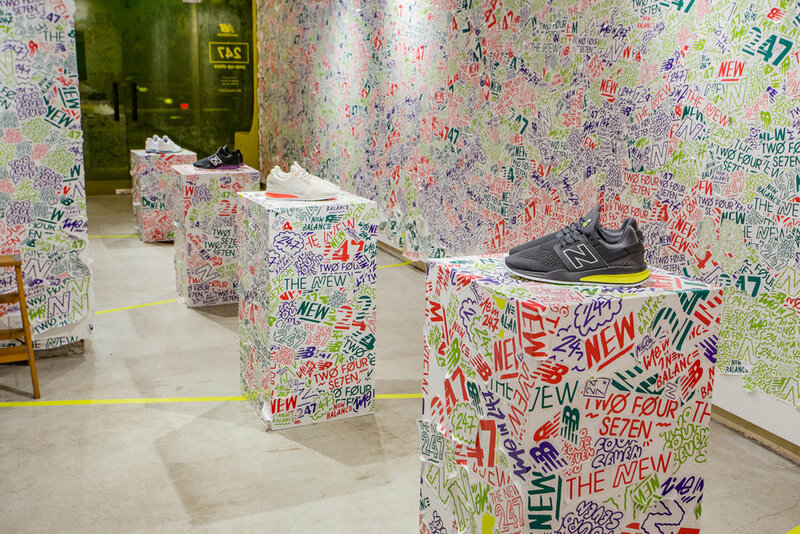 The designs were used as part of an interactive pop up store in Tokyo. 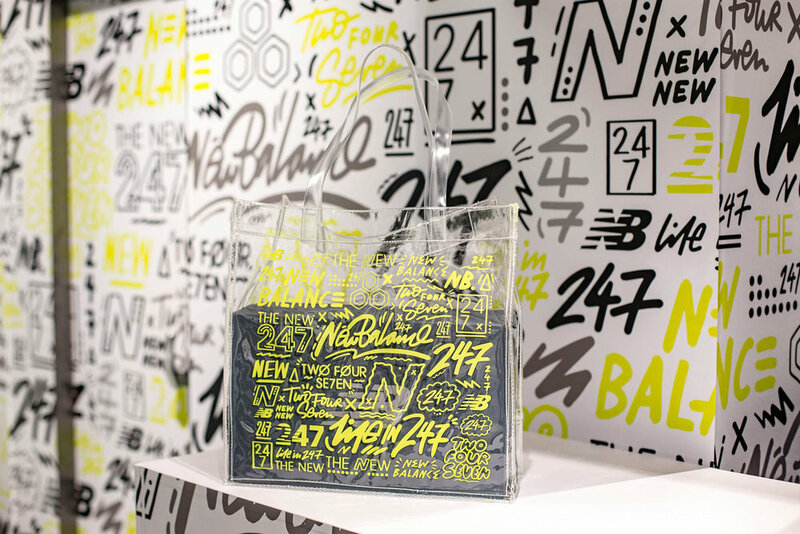 Customer who bought the shoes got special vynl bag as a gift.